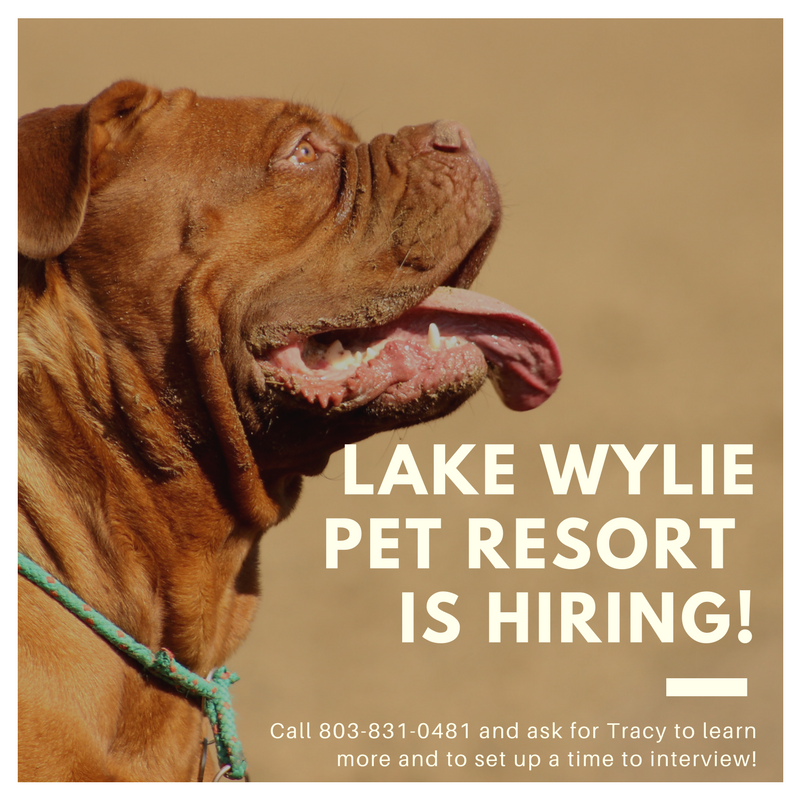 Lake Wylie Pet Resort is hiring a Part-Time/Full-Time Manager! We’re looking for a candidate who can multitask, has a flexible schedule that can work at least two full days a week and all holidays and someone who is comfortable working around all dog breeds. Please call 803-831-0481 and ask for Tracy to learn more about the position or drop off your resume during our business hours, Monday through Friday. Resumes and cover letters can also be emailed to tboyle@lakewyliepetresort.com.